We're staring winter straight in the face. NOW is the time to buy a modern classic soft top! We present some 'never-to-be-more-affordable options. There are some cracking restoration stories - including epic revivals of a Bond Bug and Morris Minor van - and a celebration of the Austin 3-Litre. 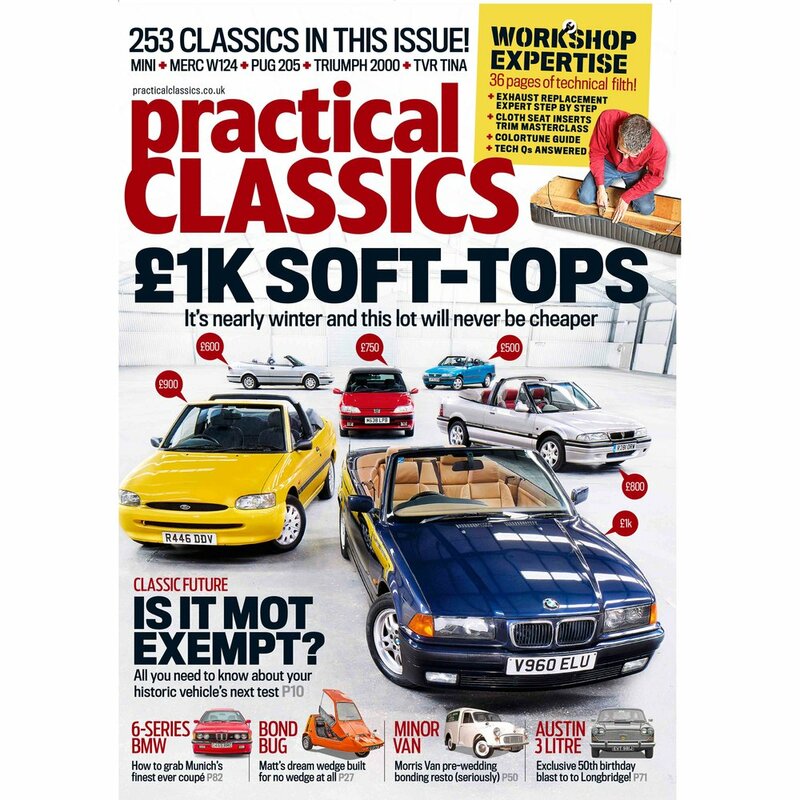 We also dish out advice on buying a BMW 6-Series and loads of tips and guides on restoring and maintaining your classic. We hereby introduce this project as the stage car for November’s Lancaster Insurance Classic Motor show at the NEC. It’ll be a replica of Mr Bean’s 1977 Applejack Mini. It has provenance of being owned by the Atkinson family and, as such, fits beautifully with the show’s theme of ‘Family Ties’. It will be an absolutely epic effort by all staff and specialists to get this car rebuilt in time for the big show. Will we do it...? Read the mag to find out how we're doing! 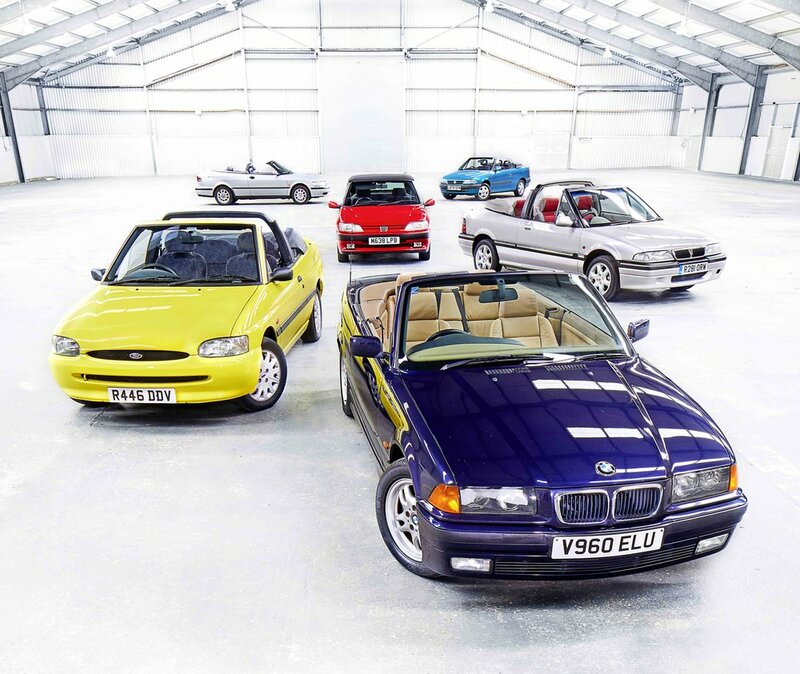 Cover story: A bunch of soft-top modern classics that'll never be cheaper to buy! 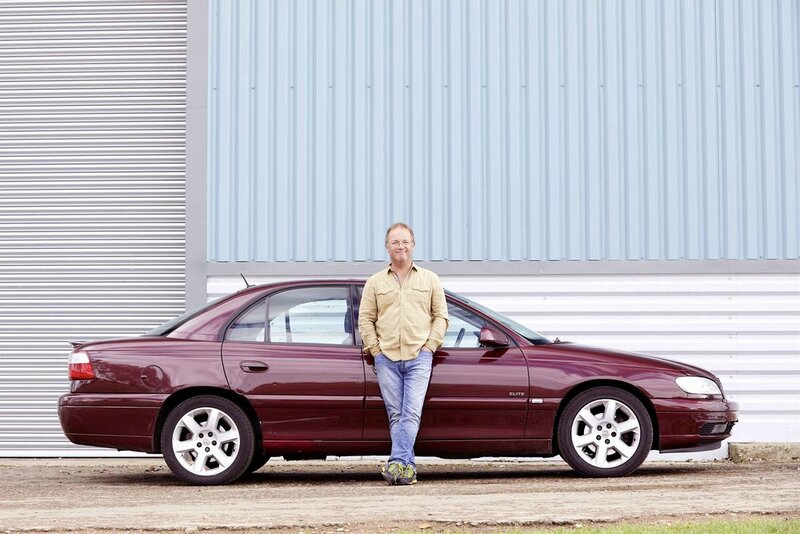 We get probing James' Saab with Rustbuster, Danny buys an Omega, we study Mini bits and Sam has a jolly good poke at his Volvo.